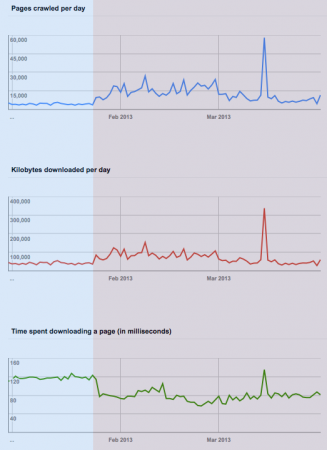 You are here: Home / CMS / Why I Finally Gave up on vBulletin? I was a fan of vBulletin for forums and have been using it on all my forums. The progress of vBulletin for last couple of years was so disappointing that finally I had to give up with them. Let me share why, as well as what next? I have always been a fan of vBulletin for forums and have been using it on all my forums and others but in last couple of years (or may be even more) I have been so disappointed with the progress of vBulletin that finally I had to give up vBulletin for forums. I have been using vBulletin since July 2004 when it was under Jelsoft. At that time Jelsoft always managed to provide features to match my expectations maintaining the quality of the final product. As an example in earlier version of vBulletin 3 the plugins system did not exists. So creating plugin needed lot of manual code changes but with vBulletin 3.5 plugins became a breeze. In vBulletin 4 Jelsoft announced things like CMS and SEO friendly vBulletin and so it made me really exciting because I always used vBulletin for articles as well. At that time I was ordering almost a vBulletin license each year as well and till date I have 6 licenses in my account. Internet Brands acquired vBulletin from Jelsoft and things started to move downhill. Being a developer and entrepreneur myself I know that it takes time for the new team to grasp the vision of the originator but instead of things settling with Internet Brands, the key developer of vBulletin started to leave the organization (for whatever reason) and instead of things starting to improve, it started to deteriorate. Still I was sure it is vBulletin 4 which has all the mess because of transfer of vBulletin from Jelsoft to Internet Brands and so the vision of Jelsoft is not transferred to Internet Brands but then they will come up with something really good and exciting in vBulletin 5 because Internet Brands owns so many great forums in so many niche that they can be their own customers to provide those inputs that can make the forum software a WOW. VBulletin 5 was announced and the timing of this announcement surprised me yet again. VBulletin 4 was not very stable at that time (and still is not stable according to me) with hundreds if not thousands of critical bugs still pending. If you have a product that is a mess and you want your customers to buy a new product it does not go down well and so this time I did not make the same mistake of pre-ordering vBulletin 5 like vBulletin 4 but kept a keen watch on the progress of it. After the announcement of vBulletin 5 things with vBulletin 4 almost stopped. We always need to think by stepping into customers’ shoes and Internet Brands missed it completely despite the fact that they own so many large vBulleitn forums themselves and are possibly the biggest customer of vBulletin. Surprisingly they don’t use vBulletin 4 for majority of their own forums and this does mean similar things to happen to their loyal customers as well. It has been asked in forums to official vBulletin team as to why Internet Brands don’t migrate forums to vBulletin 4 and each time such threads are closed without a convincing answer. As an end user the hidden answer that I read from those threads is vBulletin 4 is not usable for those forums or rather it is not usable by anybody who owns a slightly large forum with few hundreds of user online and having a shared host. I have been saying no to vBulletin 4 since long time. In September 2012, when there was a first beta release of vBulletin 5, I saw it was promising but then it would need lot of time to become stable and the focus of Internet Brands is more on developing the UI and not on the backbone. According to me vBulletin 5 Beta releases were yet again hurried and the first beta was even far from Alpha. Some basic functionality bugs were reported in a beta release which means it was not well tested in alpha phase or may be they just left it for the customers to do the testing. Apart from that instead of developing the whole core of vBulletin yet again for vBulletin 5, they could have reused vBulletin 3.x latest release and revamped the front end. May have been far better choice because vBulletin 5 is almost similar to vBulletin 3.x when it comes to features. The home page of vBulletin as of today lists the features as follows. vBulletin don’t have long feature list to show on the sales page either. According to me Internet Brand lacks vision for vBulletin 5. Any software development can have tons of features and it is the vision of the management team that decides what features are released in what timeline. It is always the core features that should be in focus. As an example vBulletin customers are experienced webmasters and so having a forums admin section build right into the front end could have been delayed for some other better user features like better social integration with Facebook, twitter, LinkedIn and as many other option as possible or even vBulletin CMS and things like those. I was convinced that this is end of vBulletin for me. I could never upgrade my vBulletin forums to vB4 since Oct 2009 and so it is almost 3 years which is long enough time for any new company to even code vBulletin right from the scratch provided they have the right team with the right leader. I have seen many established sites like SitePoint, XDA-Developers use WordPress for their main site and have forums with vBulletin. Go4Expert always had one CMS for Articles and forums because I don’t prefer too many CMSes but if I had to opt for WordPress vBulletin, I will need to move articles from vBulletin to WordPress and keep the forum in vBulletin but there are few issues that I needed to address when using vBulletin 3.x for forum. vBulletin 3.x requires vBSEO for user friendly urls and other SEO enhancement but vBSEO does not support category based urls which means your thread urls can only have the forum name in the url for a thread and not of the grand parent or top level forum for that thread. I wanted it that way. On top of that vBSEO development has stopped. VBSEO last released date was March 11, 2011 and then only few patches and bug fixes after that. VBulletin is taking steps to include SEO in its core functionality and though they are not able to do it rightly, vBSEO is possibly loosing on sales now and so vBSEO is not being kept updated. I still tried vBSEO for Go4Expert but then the way vBSEO converts the vBulletin to friendly urls by replacing the html content on the fly makes vBSEO resource heavy. Though it did not had issues when I started using it, it could cause problems in future and I may need to spend lot more on hosting computation and lot more powerful server to support vBSEO. I always wanted vBulletin out of the box support for friendly urls, which was the core feature that vBulletin 4 was coming with (and the reason for my pre-order in October 2009). So instead of using vBSEO’s friendly urls on Go4Expert I was ready to wait for some time so vBulletin team can provide better solutions which never happened even in vBulletin 5 and so I was left with no choice. On top of that if I use WordPress for articles, I may need to use vBulletin + WordPress + VBSSO (for single sign on of WordPress and vBulletin). It would mean I am using too many external scripts like WordPress, VBSSO and vBSEO along with vBulletin and so this choice was something that I will try to avoid. Internet Brands managed one customer less for Xenforo because they managed to drag the lawsuit touch more than I expected but I think I will have yet again few more new forums coming up. Already planning some new niche on Xenforo. Once I have something more concrete will share them here. A point to note here is once lawsuit was over for Xenforo, they extended all Xenforo license by 255 days because there was hardly any development for a long time. Internet Brands should take a leaf out of it and possibly opt for similar scenario for vBulletin 5 as well because customers who have paid for vBulletin 4, never got what they expected. The third option is to use vBulletin framework and customize it completely as per my need and this is what I opted for on Go4Expert. I opted for custom code based on vBulletin 3.x creating my own SEO friendly urls for Go4Expert and now I have them live for 3 months. 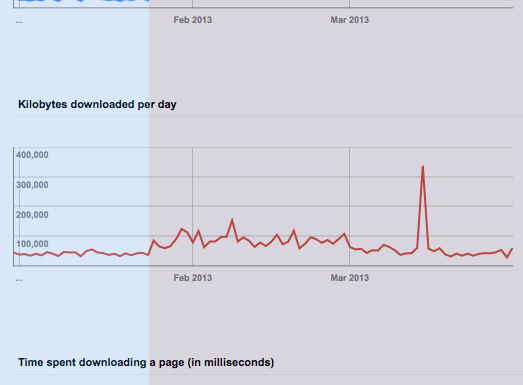 Google has updated almost all its url without much impact on traffic. I already see that Google uses less time downloading content from Go4Expert because of change in backend code for URLs but I also expect similar results when it comes to new design. Will share them as soon as I have them as well. I read in Matt Cutts blog or in his video that if you change the urls as well as the page HTML, Google may have issues mapping old urls to new and so my plan was to make the new urls live and then work on getting the new design. It was delayed by few weeks because of some other tasks but then managed to get the new design live in the last week of March. The focus on the new design has been to make it light weight with features that are being used by our members and avoid those that are sparingly used. On top of that I have lists of tasks that I want to do as I move along. The code for Go4Expert is more or less custom with core of vBulletin modified to make things lighter, faster and less tabular. According to me it’s high time to move to Xenforo because Xenforo is far better choice than vBulletin. I have similar plans for MBAGuys and CFanatic but only after I can manage more stability for Go4Expert. BTW I am an affiliate of vBulletin but not of Xenforo yet. I recommend you to wait for IPS Suite 4.0 which is gonna be awesome. It has several enhancement and after using it on Neowin board, I am personally liking it more than vBulletin and Xenforo. I am not forum owner, I am just user and I must say Xenforo does not least bit looks professional to me. Although one thing good about it is its responsive design which gives advantage in mobile world since Chrome Android developer and nor Microsoft has to maintain Windows Phone compatibility list. I follow browsers development as well.. Yes responsive is good move and I think IPB will also move towards it sooner. They don’t revealed front end features yet but backend admincp is already responsive as per their blogpost. XenForo is very Far great than vbulletin for Security, SEO, Performance aspects. You will notice it when you’ll be using it. Still vBulletin is my first choice for forum software. XenForo is good, but it’ll take some time for them to level the features and security vBulletin offers. Not many are like Shawn Hogan. I was of the same feeling but not any more because Xenforo is more stable than vBulletin 5 at the moment.